Apparently on Sunday GitHub accidentally deleted an entire database that caused downtime for quite awhile. If you’re a paying customer, downtime will piss you off. GitHub’s customers I’m sure were no exception. But what’s really cool is the way that GitHub responded on their blog. Explained plan to avoid similar disasters in the future. You know what’s even better? Look how positive the comments are from their customers. I first discovered the power of the apology when Jeffrey Kalmikoff spoke at Big Omaha 2009. He said that the Threadless had lost all of the forum comments. Threadless was transparent and apologized for the disaster. Some Threadless community members then scraped the comments off of a Google cache. They were able to restore a large majority of the comments! You should watch it. Take note of this while building your business. 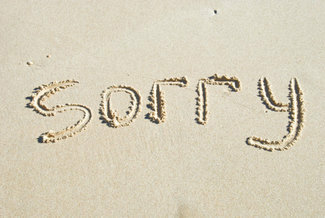 When your screw up, give your customers’ a sincere apology and a plan moving forward. After all, they deserve it.